Where did the expression "when cancer at mount whistle"
The meaning and significance of some phraseologisms is clear without unnecessary comments. But the origin of some of them may be unclear without knowledge of history. The idiom "an uninvited guest is worse than a Tatar" in the modern sense means disapproval of the sudden, unscheduled visit. That is, the owner will need to get all their supplies to cook a meal, to postpone the planned business, and to entertain guest. Russian people always differed hospitality. And where did this dislike for guests, and why the guest is compared with the Tartar? 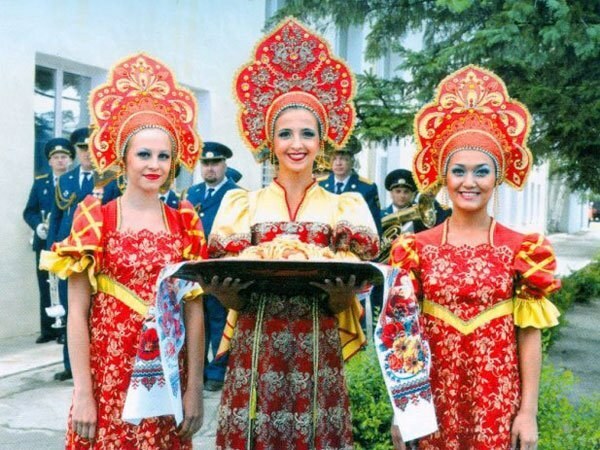 And then the Tatars – a very civilized distinctive nation, for centuries living side by side with the Russians. Moreover, long-term coexistence so close to each other people that there is a hypothesis, according to which every second Russian man of Tatar blood flows. Ancient Rus had suffered much from the Mongol-Tatar yoke, it is known to every schoolboy. In Russia all the tribes, raided the Russian villages called the common word – Tatars. Raids differed unheard of brutality, looting, violence. Villages were burned, the inhabitants, the survivors were taken away into captivity that is captured. That is, after the "Tatar" there was nothing left, and the second part of the idiom has its explanation. It remains to find out why a guest in their free time, troublesome more than a foray of the Mongol tribe. In addition, in the Russian language on the theme of the intruder Proverbs is quite the opposite emotional color – "intruder easy, and party hard", "I am glad, not glad, and say: you are welcome." In an extreme case - "the intruders are not in store and spoon" or "uninvited guests and gnaw bones." The meaning of the word "guest"
Examining a specific case, there is a need to refer to all meanings of the word "guest". In Ozhegov's dictionary the word "guest" has several meanings, one of which – merchant. It is appropriate to recall the epic "Sadko", where under the name "Varangian guest" means a merchant from the Vikings. From here stems the concept of "Gostiny Dvor" is not a hotel, and a warehouse to store wholesale quantities of goods. In the history reflects this fact, when Oleg the wise, disguised as a merchant, that is, the Norman warriors broke in Kiev, killed the ruling at the time of the Varangian princes Askold and dir, sat on the Board. Despite the fact that the campaign of Oleg in Kiev was the beginning of the development of the old Russian state, Kiev was captured without a fight, Oleg destroyed all the Christian shrines. Perhaps under the intruder and this meant an unscheduled visit. Perhaps, but a little bit does not match the chronology that does not allow this version only right. Anyway, to the modern citizens of the Republic of Tatarstan and Crimean Tatars this proverb has not the slightest relationship, they themselves have suffered from the raids of wild tribes.